If you have followed our blog for a while, you know we often cruise to the same ports. Favorite ports where Stu can indulge in his passion for scuba diving. Me? I'm supposed to write - or maybe read a little. 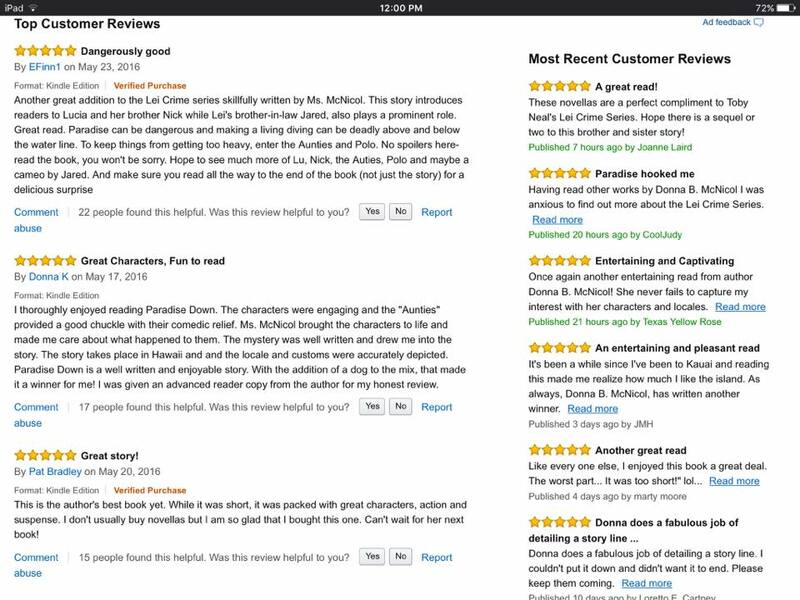 The past week of cruising has been spent marketing, posting promos for my latest book. I guess it's working, along with the efforts of my HOOT TROOP. 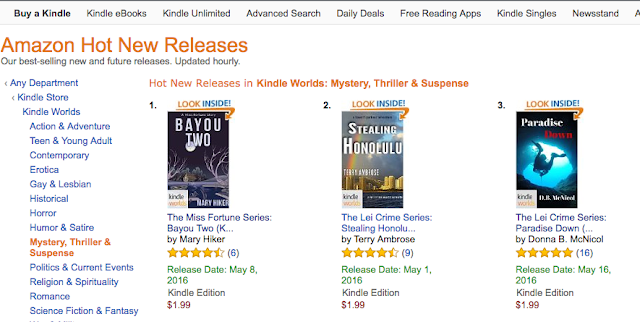 My new novella in the Lei Crime Series Kindle World, Paradise Down, made it as high as number two on the Amazon Hot New Release list. It has settled into third place for now. The ranking in the Kindle World mystery grouping has been as low as #31 and as high as #9. Right now it's hanging in the upper teens and low twenties, so I guess it's still selling. For those who haven't read it, I hope you will give it a try. The reviews are rolling in and so far the consensus is for more books in the series. That's a good thing and I plan on two more novellas in this series, sometime in the future. One will feature Nicky, Lu and Polo and the other will feature the Thompson twin sisters! Today was laundry day, then I had lunch with several members of our favorite band here on the ship. You will see more when we finally get all our photos/videos together for a blog post next week. But if you have a chance to see #SixAppeal on a Carnival ship - DO IT!!! Great group...we've so enjoyed getting to know them and listen to their music. Oh, writing. Sorry. LOL! Tomorrow I promise to get back to book three in my Klondike Mystery Series. I had hoped to get more written but will spend every spare moment in June, getting it done. Promise! One last note, if you aren't following my author blog, I made an announcement there and I hope you will take a peek at my most recent post, A New Look.